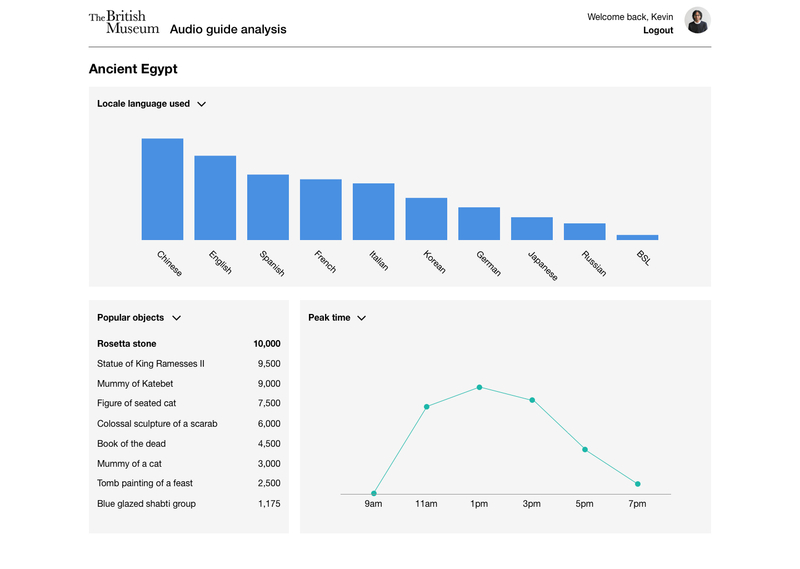 After the completion of analysing a year’s worth of data from the audio guide, a report was made to showcase the findings. 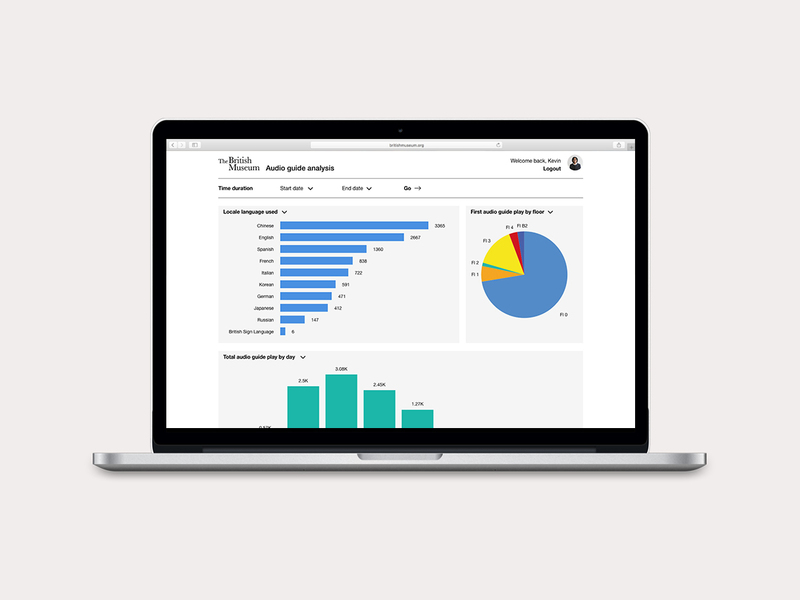 The report was well-received and later it was suggested that a dashboard should be built to provide real-time feedback of the performance of the audio guide. 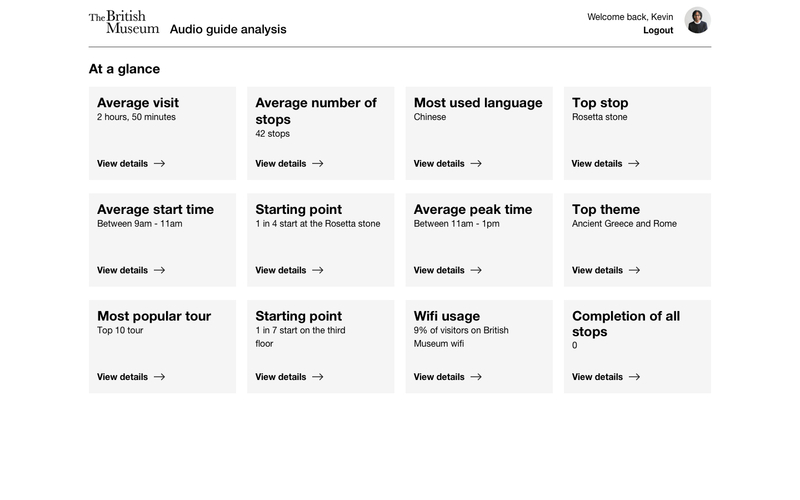 These visuals begin to conceptualise a dashboard for tracking the audio guide performance.